Photography means “drawing with light,” and when you snap a picture with your camera, you use and record light to create an image. A front-lit subject faces the light source and is even-lit and flat, primarily without shadows. Front light is the most straightforward to work with, but isn’t as dramatic. Side light is fun to experiment with, especially for portraiture, fine art, and architecture. When you light a subject from the side, the mix of light and shadow shows more depth and reveals textures, patterns, and complexities (even flaws) in the shot. It can create unexpected results, and be more dramatic. I was extremely lucky to capture this photo of our sun. The phenomenon is called a Sun Halo or 22° Halo. This was an amazing moment when I looked up at the sky and managed to frame the sun halo perfectly. I still think it’s funny that it involves ice crystals especially when you’re basking in the 80/90F degree heat. Among the most well known halos is the 22° halo, often just called “halo”, which appears as a large ring around the Sun or Moon with a radius of about 22° (roughly the width of an outstretched hand at arm’s length). The ice crystals that cause the 22° halo are oriented semi-randomly in the atmosphere, in contrast to the horizontal orientation required for some other halos such as sun dogs and light pillars. As a result of the optical properties of the ice crystals involved, no light is reflected towards the inside of the ring, leaving the sky noticeably darker than the sky around it, and giving it the impression of a “hole in the sky”. The 22° halo is not to be confused with the corona, which is a different optical phenomenon caused by water droplets rather than ice crystals, and which has the appearance of a multicolored disk rather than a ring. No post on warmth would be complete without a sunset picture. 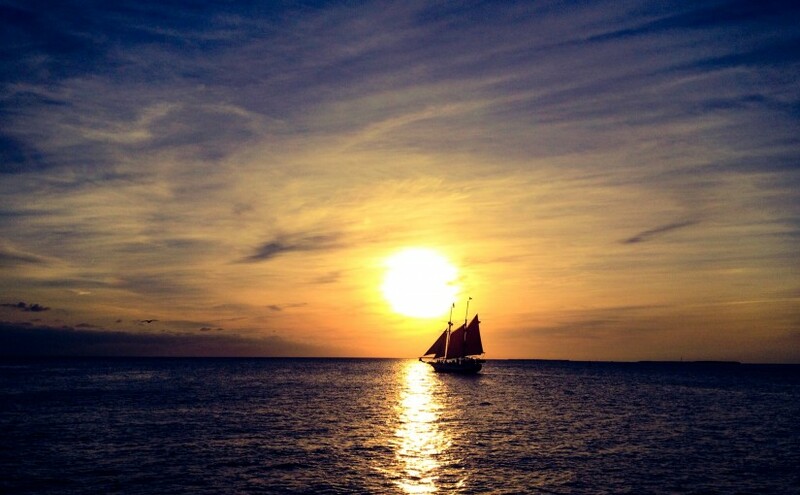 Here’s one I have taken at the famous Mallory Square sunset celebrations in Key West. 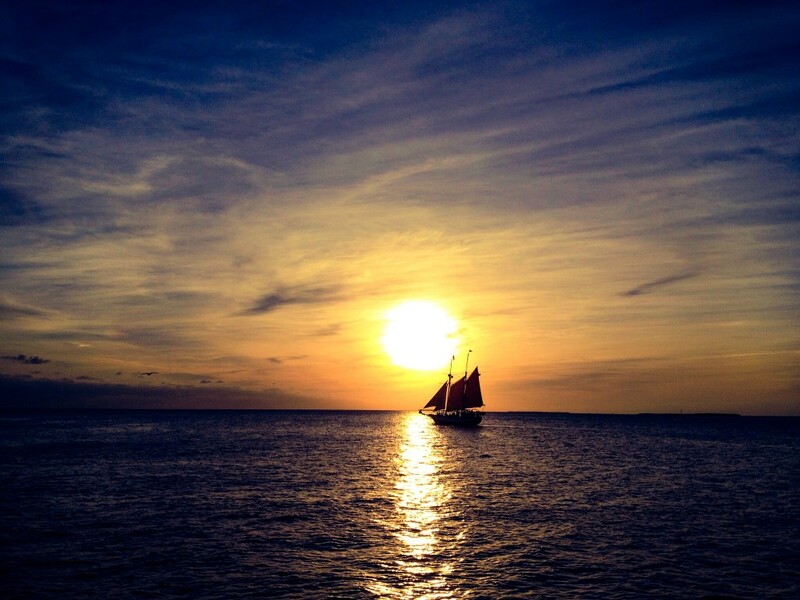 I can feel the radiant warmth of the sun… Oh that is my new favorite sunset I am loving the blue gold combo of colors. KUDOS!!! Really nice pic. Thank you for sharing about the sun hallo. Once I captured one but the photo is not so good as yours. Thank you for visiting. 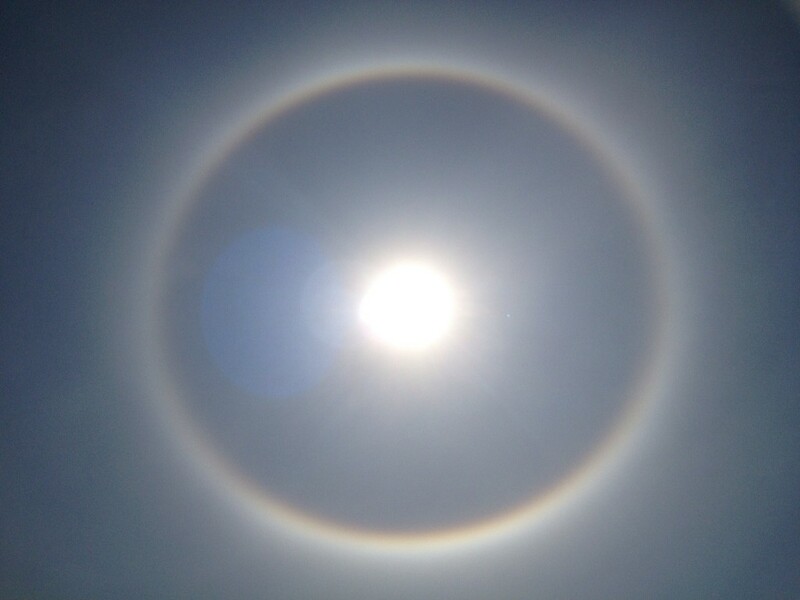 Yes the sun halo phenomenon is very interesting.